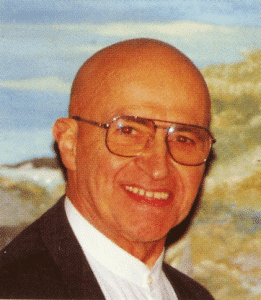 Francoise Nicoloff was first introduced to Dr. Tomatis by her mother, Simone Perry Nicoloff. The death of Françoise’ father led her to change her career and started her Tomatis® journey. Françoise left her work as excursion manager on her last cruise to South America before returning to Paris to attend the first step of the Tomatis® training course. At this time, her mother opened the first language centre in Marseilles. Under Dr. Tomatis’ suggestion, Françoise started an advanced degree in Clinical Psychology for 5 years in Aix en Provence whilst joining her mother at the Centre du Langage in Marseilles and continuing her training with Dr Tomatis. Françoise completed her Psychology degree and then was invited by Dr Tomatis to be to be part of the first Tomatis® Trainers Team giving her the chance to travel Marseilles, Paris, Barcelona and Milan. Françoise and her mother introduced “The Tomatis® Method and Symbolism in Drawings” to professionals using her personal technique of painting to enhance creativity at the Bendor Tomatis® Seminar in Bandol, France. They also opened a Tomatis® Centre in Toulon. She was presented to introduce the Tomatis® Method in the South Pacific by moving to Tahiti and developing a Centre there. underwent the Tomatis® Program after surgery in Auckland, New Zealand. 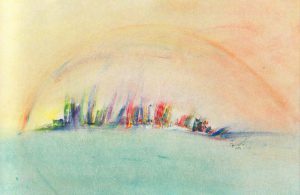 While exhibiting her paintings in Tahiti and France, Dr Tomatis asked Françoise to initiate the training and the Tomatis® Method in Japan. She gave the first Tomatis® lecture in Tokyo. She mentored Miss Tahiti over three months leading up to competition at Miss World (locution, presentation, and general etiquette training). 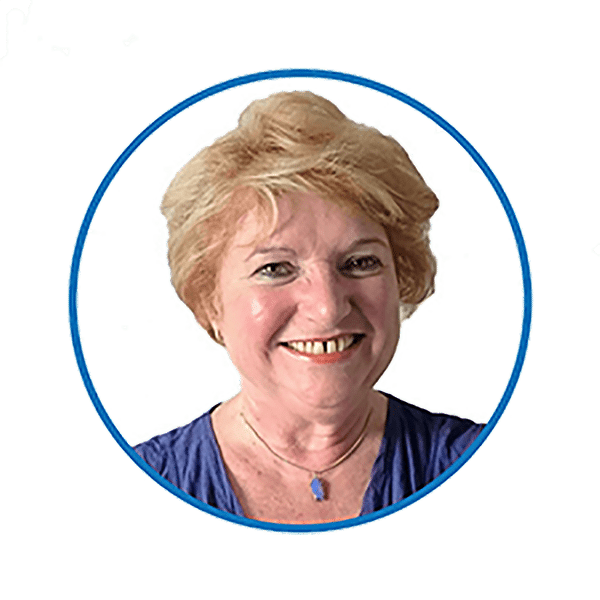 Françoise arrived in Australia, started work as a Registered Psychologist & a Tomatis® consultant, and founded the Australian Tomatis® Method. In the same year, she won the first prize offered by Dr Tomatis at the Tomatis® International Conference in Neuchatel, Switzerland.  She organised and ran Tomatis® Programs in Newcastle, Perth and Melbourne and lectured in Sydney, Melbourne, Kalgoorlie and other cities around Australia. In the launch of the International Association of Registered Certified Tomatis® Consultants (IARCTC), Françoise actively participated and was elected Vice President of the Association. Françoise took over the role of the President of IARCTC. Françoise travelled several times to Manila in the Philippines to train a Tomatis® consultant and listening therapists and assist them with the opening of the Tomatis® centres. 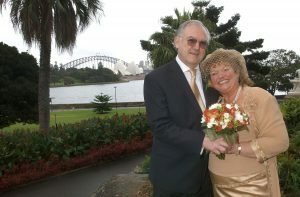 Françoise got married to James, a French patissier who she met in Sydney a few years before. Having been re-elected as the President of IARCTC, Françoise presented a case study on the Tomatis® Method and suicidal tendencies at the International Convention in Dublin, Ireland. She discovered the new portable equipment designed by the Tomatis® Group making the Tomatis® Method more accessible and easy to use at home. Since then, she started training practitioners coming from Australian interstates, Japan, the Philippines, New Caledonia, Australian interstates, Canada and Singapore on a regular basis. While working on numerous research projects especially in Colombia and France, Françoise launched the book The Listening Journey for Children that she co-authored with Maude Le Roux at the International Association of Registered Certified Tomatis® Consultants (IARCTC) Convention in Panama. Françoise delivered presentations in Greece about mindfulness and how the Tomatis® Method increases emotional intelligence. She also started delivering monthly webinars to spread the information about the Tomatis® Method accessible around the world. 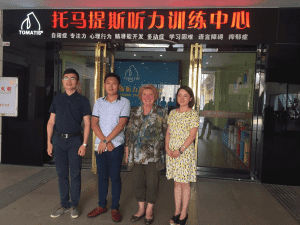 Françoise was invited to support the Tomatis® group in China and their practitioners giving lectures and working with families. Françoise expanded her vision to bring the Tomatis® Method into schools in Australia. Today, the Toogoolawa School in Queensland and Mary Mckillop in Darwin are applying the method in their curriculum. Françoise Nicoloff's love for music (i.e. sang the Faure Requiem at the Sydney Opera House under the direction of Brett Weymark), painting (exhibited in Tahiti and France), learning about the brain, travelling, and her other ventures all originates from a single driving force, that is, to make a difference in people’s lives. She has a voice, she can paint, she is dedicated to people, her name is Françoise Nicoloff, and most often her name is associated with a therapy designed by Dr Alfred Tomatis or The Tomatis® Method. She is specialised in auditory processing and sensory disorder. 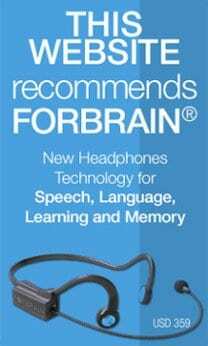 Françoise Nicoloff has been practising as an Audio-Psycho-phonologist or Certified Tomatis® Consultant since 1978. Born in Casablanca (Morocco), where she stayed until the age of 3, Françoise and her family left for Australia where they spent three years. Back to Morocco for a year before settling in France, staying in Britanny, then in the Loire Valley, the family finally settled in Provence in 1967. After trying medical studies, she gained a diploma of tourism specialising in interpretation and being a guide. She was fluent in German and English and learned some Russian, Bulgarian and Spanish. Her interest in languages has enabled her to set up a fun and effective language, listening and learning centre in Edgecliff, Sydney. As Head of excursions for a French cruise company, she sailed for 3 years around the world. In 1976, Françoise was introduced to Dr Tomatis by her mother. At that time, Françoise’s parents planned to open a Tomatis® centre in Marseilles after hearing a radio program dedicated to Dr. Tomatis. The death of her father in 1977 touched Françoise deeply and changed her life in terms of projects. She decided to change her career and jump on Tomatis’ boat. She left on her last cruise to South America in 1978 before returning to Paris to follow the fundamental Tomatis® training course. A new world opened its door to her, finally providing the chance to follow her interests in languages, travelling and the arts, as well as helping people in need to improve their well-being. Françoise continued her studies and earned her advanced degree in clinical psychology in Aix en Provence, South of France. With her mother, Françoise opened the first Language Centre in Marseilles in 1978. In1984, they opened a centre in Toulon and run the Bendor Tomatis Seminar. During this seminar, Françoise introduced “The Tomatis® Method and symbolism in drawings” to professionals using her personal technique of painting to enhance creativity. In 1983, Françoise was invited by Dr Tomatis to be part of the first Tomatis® Trainers Team. She then found the chance to travel frequently thanks to her Tomatis® Training activities, travelling from Marseilles to Paris and Barcelona to Milan. In 1987, she was presented with another opportunity to cross the world: to introduce the Tomatis® Method to the South Pacific by moving to Tahiti and developing a Centre there. As soon as she found out about this opportunity, she thought, “Yes, I am on my way back to Australia”. Her dream of returning to where she spent her childhood was coming true. She stayed in Tahiti for 8 years where her daughter was born (1990), teaching her the joy and the difficulties of parenting. Her daughter was the youngest baby undergoing the Tomatis® Program after surgery in New Zealand while she was 8 days old. During her time in Tahiti, Françoise worked in many different areas, including training for educators and consultants in the Tomatis® Method. 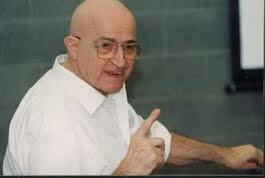 Dr Tomatis liked to send her to new ventures and asked her to initiate the training and the setting up of the Tomatis® Method in Japan (1993). She also started to exhibit her paintings in Tahiti and France. In, 1994, Françoise mentored Miss Tahiti over three months leading up to the Miss World competition, training her in locution, presentation and general etiquette). Finally, in September 1995 Françoise set foot on Australian soil. 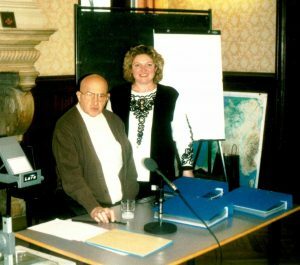 For that and acknowledging her work in spreading the Tomatis® Method in new countries, Françoise won the first prize offered by Dr Tomatis at the Tomatis® International Conference in 1995 in Neuchatel, Switzerland. Happy to have found her way back, Françoise started work as a Psychologist and a Tomatis® consultant, and founded the Australian Tomatis® Method, for Listening, Learning & Languages. 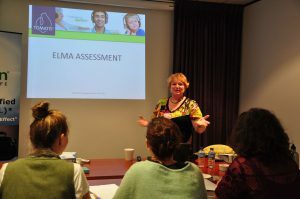 From 1996 onwards, she organised and ran Tomatis® Programs in Newcastle, Perth and Melbourne where she also lectured, as well as in Sydney, Kalgoorlie, and other cities around the country. In November 1997, Françoise was very honoured to become with her daughter, Australian Citizens. 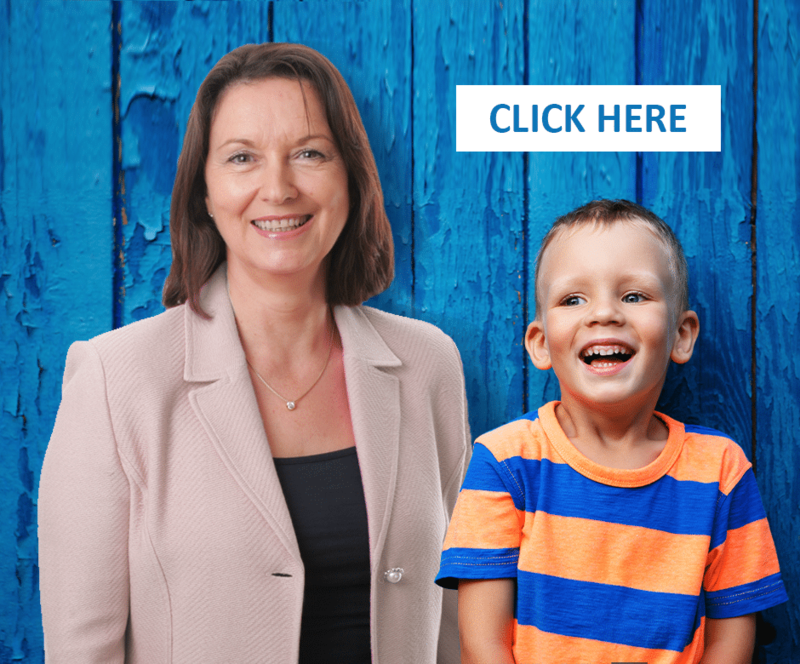 Over the years, she has been in contact with thousands of families, helping children and adults with learning difficulties and helped people with communication skills and relationships problems. 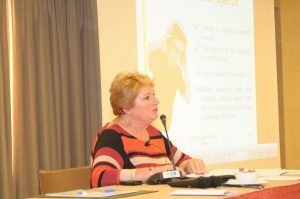 During this time, she has run, on a regular basis, informative workshops (conferences, lectures, radio and TV programs, newspaper articles, webinars and open days…) for the public and for professionals such as psychologists, speech therapists, occupational therapists, teachers and those working in health and education. 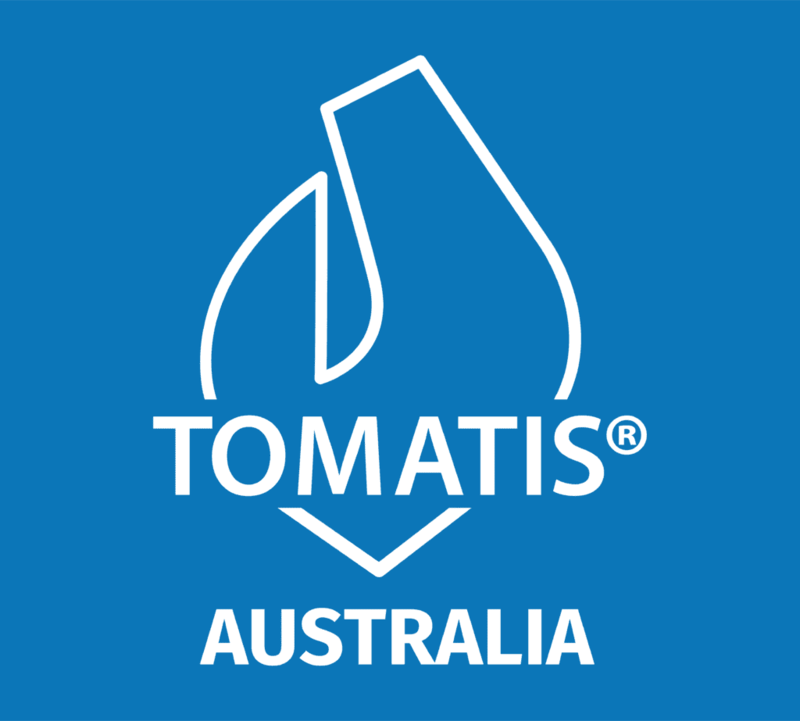 She has also started to train such professionals to become Tomatis® practitioners, within their own field, in Australia and overseas. 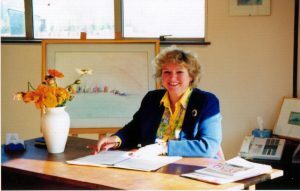 For the past 40 years, Françoise has participated and lectured at conferences, congresses, exhibitions and festivals either about the Tomatis® Method, psychology or foreign languages in France, Italy, Spain, Tahiti, Greece, Ireland, Japan, Australia, Austria, Manila, Mexico, Colombia , Panama and recently in China. In 2001, she actively participated in the launch of the International Association of Registered Certified Tomatis® Consultants to gather Tomatis® practitioners, she was elected as Vice President of the Association. She was also involved in the Research Committee. In July 2004, Françoise Nicoloff took over the role of President of the International Association of Registered Certified Tomatis® Consultants (IARCTC). Elected by her peers, Françoise had committed herself to the position with great enthusiasm till 2011 where she resigned to allow more time to writing books. As well as working on numerous research projects especially in Colombia, France, Françoise attended in 2007 in Mexico the Convention organized by IARCTC. 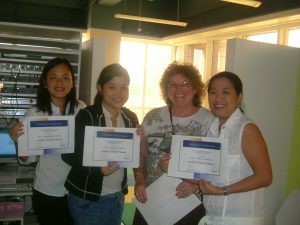 In 2006-07, Françoise travelled several times to Manila in the Philippines to train Tomatis® consultant and listening therapists and assist them with the opening of the Tomatis® centres in Manila. That same year Françoise got married to James, a French Patissier who she met in Sydney a few years before. In 2009 Françoise attended the international convention in Dublin presenting a case study on Tomatis® Method and suicidal tendencies and was re-elected as President of IARCTC. In September Françoise was invited by ANATS SA to give a 2 days workshop on the importance of the ear in singing. In 2010, she discovered the new portable equipment Solisten® designed by the Tomatis® Group to make the Tomatis® program more accessible and easy to use at home. Since then, she has started to train on a regular basis new practitioners coming from Australian interstates, Japan, the Philippines, New Caledonia, Canada and Singapore. 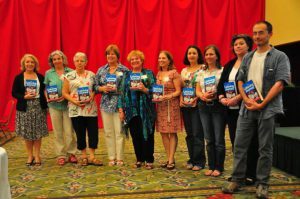 In 2011, she attended the International Tomatis® Conference in Panama where she launched the Listening Journey for Children, she co-authored with Maude Le Roux. Since the book has been translated into several languages–Spanish, French, Japanese, Chinese and Russian. More books will be published in the Listening Journey series. 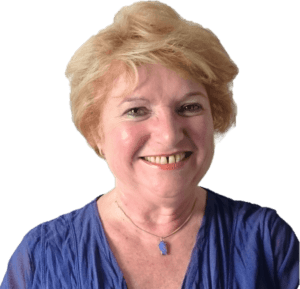 Since 1997, Françoise has spoken regularly at Mind, Body and Spirit Festival, Conscious Living Expo, Mindd Forums, Learning Difference Convention and many others on auditory processing disorder as she is passionate about that ailment which affects many more people that we can think off. In 2013, she delivered some presentations in Greece about mindfulness and how the Tomatis® Method increases emotional intelligence in two case studies. She also embraced new technology and is delivering monthly webinars to spread the information about the Tomatis® Method which is then accessible to people from all over the world. In 2016, she was invited to support the Tomatis® group in China and their practitioners giving lectures, working with families, and presented the Tomatis® Method and neuroplasticity at the WA Disability services in Perth. Recently, Francoise has expanded her vision to bring the Tomatis® Method into schools in Australia. Toogoolawa School in Queensland and Mary McKillop Catholic College in Darwin (NT) have implemented the Tomatis® Method in their curriculum. More to come soon. 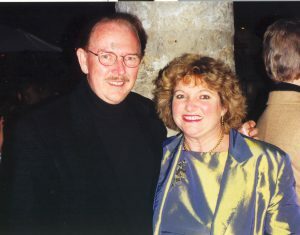 Françoise Nicoloff’s love for music (i.e. sang the Faure Requiem at the Sydney Opera House under the direction of Brett Weymark), painting (exhibited in Tahiti and France), learning about the brain, travelling, and her other ventures all originates from a single driving force, that is, to make a difference in people’s lives. 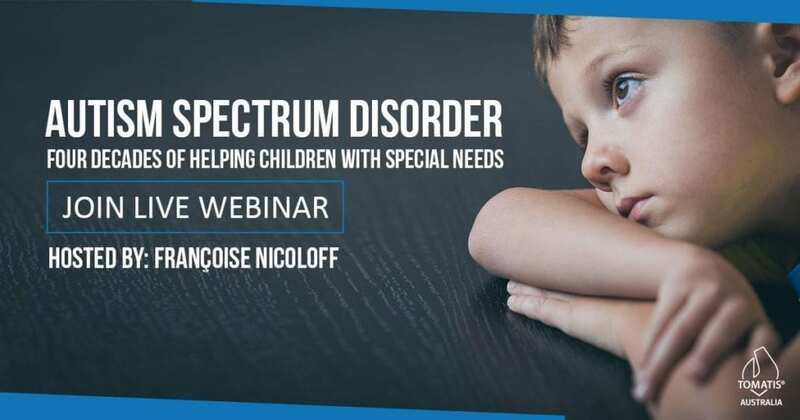 Join Françoise Nicoloff's FREE Webinars!